Always have the latest coding techniques, with search-friendly URL's. Unconfusing incorporates search-engine best practices using websites that are never template based so yours is tailored for you and search-engines. Buzzwords aside, your site needs to be accessible by search engines. Once search engines find it, do they see it the way you want it to be seen? That's where we come in. 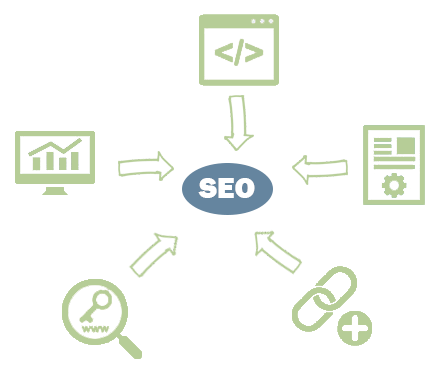 First, we examine your site's coding to make sure it is compliant with the fast-paced and ever-changing world of SEO and WWW standards..
Websites, including your competitor's websites, are always changing. The market is turbulent and takes a keen eye and constant watch to keep up with. Search engines are adjusting their rules and parameters each and every day. Why should you have to keep up with all of that? Let us help you with marketing your website online.